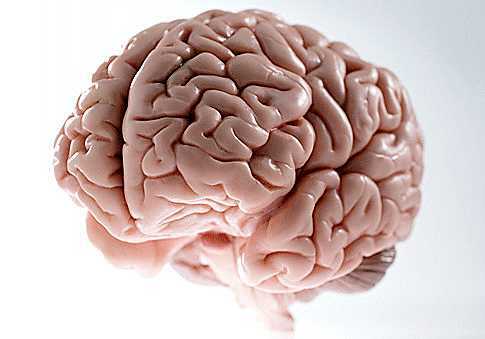 Every brain has two hemispheres, each involved with a different set of functions. The Earth has two Hemispheres, too, Northern and Southern, which also function differently. Running this blog, people send me stuff. A graph with surprising repercussions for New Zealand. This must be compared with the official NZ graph from NIWA. Official NIWA graph of the New Zealand temperature history. It reveals some remarkable dissimilarities to the NASA graph, above. 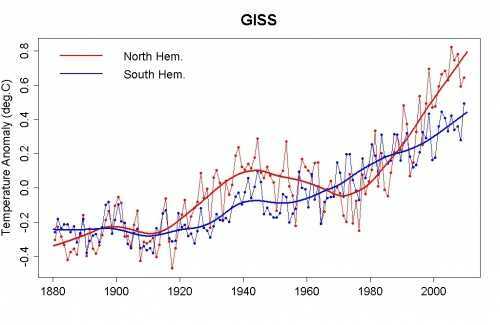 The Goddard Institute for Space Studies [GISS, a division of NASA] explains that the temperature increase in the Southern Hemisphere is less than the Northern due to it being mainly water and that water has a greater temperature inertia than land. The NASA chart says that a 0.5°C increase has taken place in the Southern Hemisphere as a whole over the 20th century — well below the global average. NIWA scientists, on the other hand, claim their data series is correct and that New Zealand is warming considerably faster than global averages. Why is a maritime country like New Zealand so anomalous to the rest of the Southern Hemisphere?